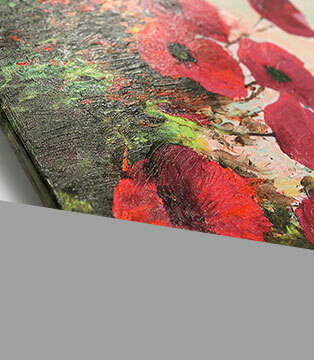 Canvas Art Print "Acrylic Poppies (5 Parts) Wide" is a original idea for decorating every room. red 5-piece canvas set "Acrylic Poppies (5 Parts) Wide" canvas print from Poppies category will perfectly emphasize your bedroom’s or dining room’s character, especially if your room is kept in similar colouristic. 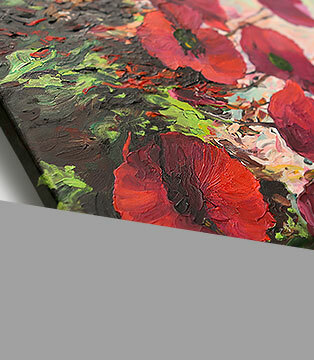 "Acrylic Poppies (5 Parts) Wide" canvas painting uses many interesting decorating motifs like: nature, flowers, plants and poppies – therefore it is very well-known among our clients. 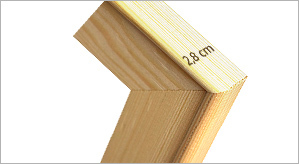 Ideal "Acrylic Poppies (5 Parts) Wide"canvas painting’s supplement will be solid, wooden stretcher bar - on bimago gallery you can find them in three sizes: Standard (2 cm thickness), Gallery (2,8 cm ) and Maxx (4 cm). 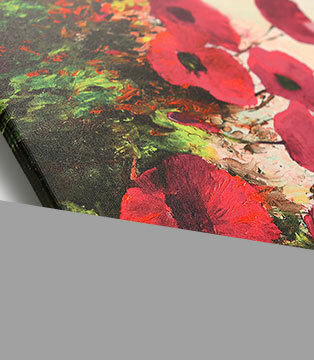 What kind of accessories do you need to hang Canvas Print "Acrylic Poppies (5 Parts) Wide" in your flat? 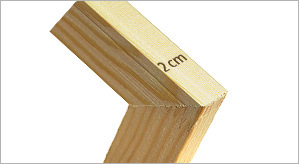 We strongly recommend solid hooks and nails from bimago – available in really good price sundries, which will make putting "Acrylic Poppies (5 Parts) Wide" canvas painting on your wall easy and stable. Canvas Print "Shining Poppies (5 Parts) Wide"
Canvas Print "High Summer (5 Parts) Wide"
Canvas Print "Contemplation (5 Parts) Wide"